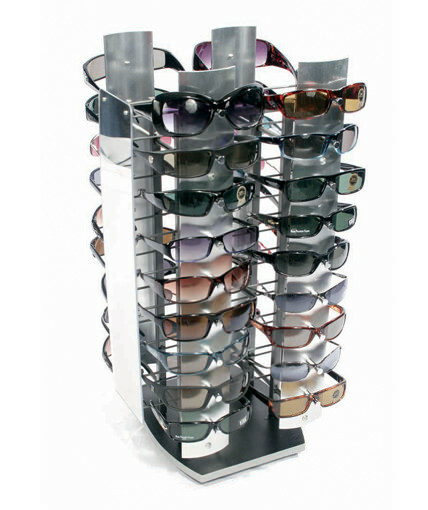 Like the SU-WOOD96, the SU-WOOD72 is designed to be simple and cost-effective. 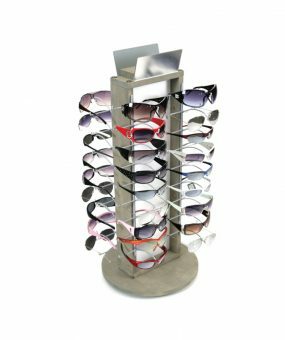 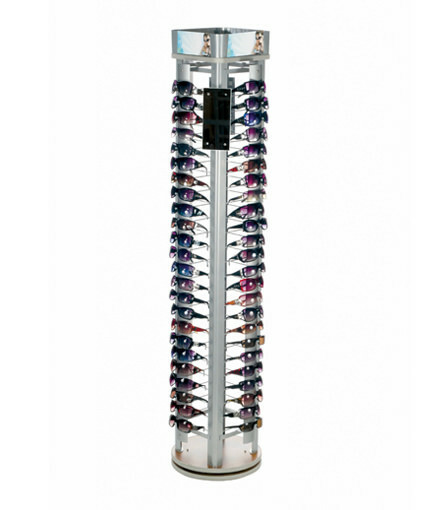 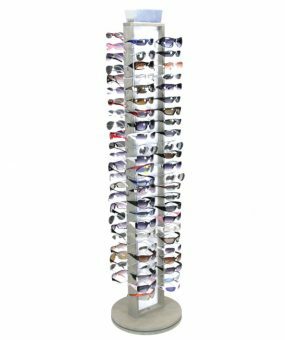 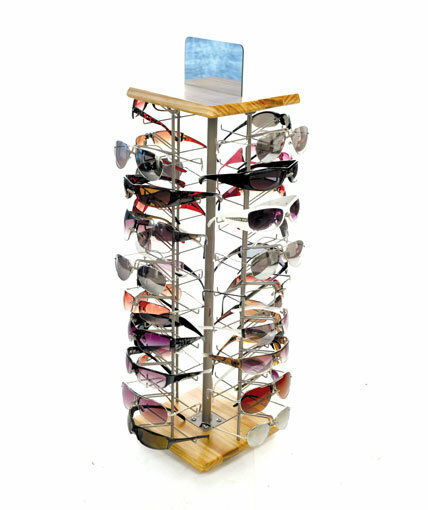 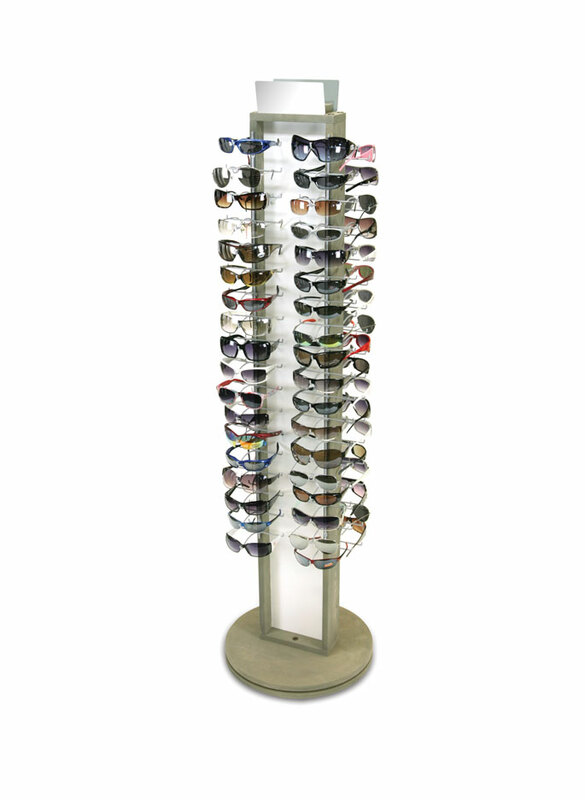 This 2-sided solid wood sunglass floor spinner holds 72 glasses and is constructed using a stained grey pine base and frame with wire sunglass holders and white PVC center panel. 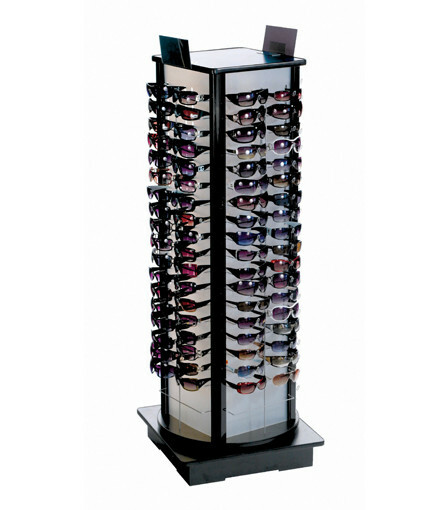 Includes 2 header mirrors.